How about this one, classic true believers? 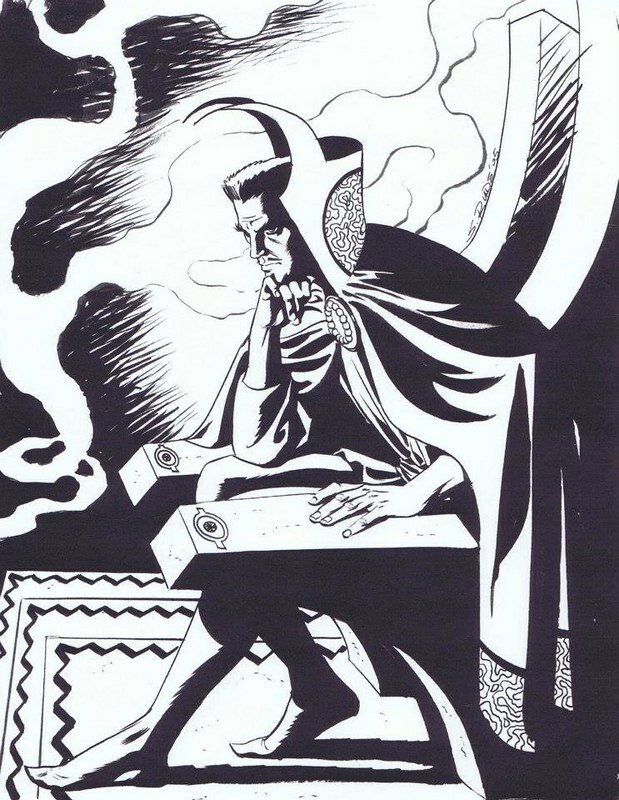 Doc Strange, in a classic Ditko-like pose, drawn by the uncanny Steve Rude. Nuff Said! Also there is a long time local independent shoe store that has some folks who know what and how to fit you to shoes. Oh, Kevin, Kevin, how have you fallen so low? I was a great admirer of Clerks and Clerks 2. I love your podcasts, but sorry to hear you won't be making too many more movies. Are you in such dire need of money that you are trolling for $$$ with Ankle and Foot Doctor spam links?? I'm sorry for you, Kevin, I really am sorry.